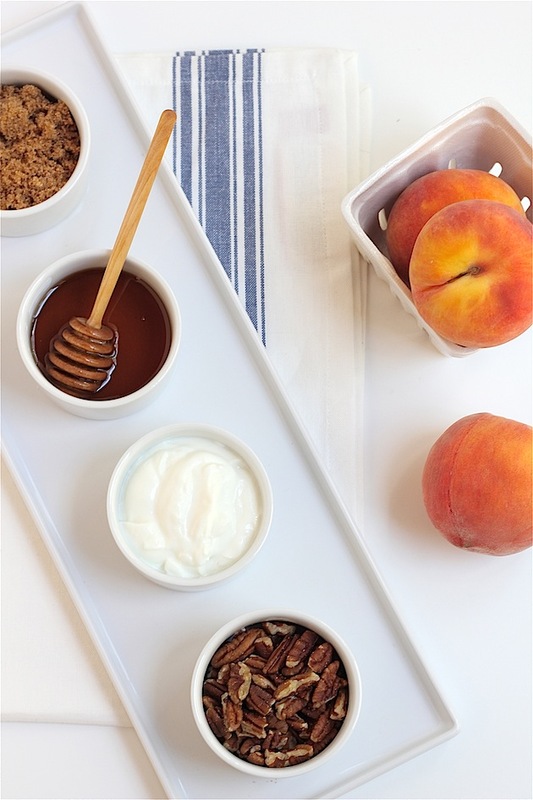 1/ In a small bowl, mix the Greek yogurt and honey together - to taste. Add a splash of vanilla extract and stir. 3/ Add a layer of the yogurt mixture. 4/ Add another layer of peaches, walnuts and brown sugar. 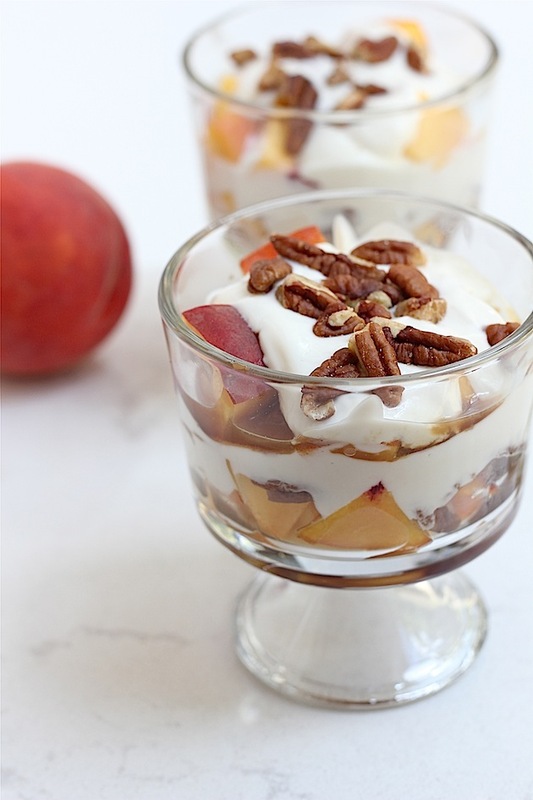 Top with the yogurt and a sprinkle of pecans. Very pretty images, Tiffany! 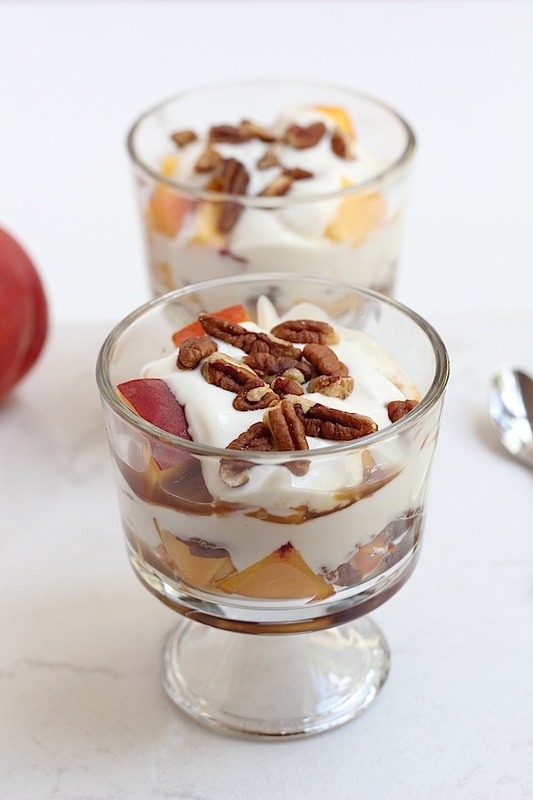 We'll be having this for breakfast today...yum!